Obituary for Dorothy L. Mitchell | Rainge Memorial Chapel Inc.
Ms. Dorothy M. Mitchell, age 98, of Alma, GA, was called home on Saturday, December 29, 2018 at Bacon County Hospital in Alma, Ga following an extended illness. She was born November 20, 1920, in Nicholls, GA to the late Pearlie E. Jones and Willie Dude Clayton. She moved to Alma, GA in 1967, where she worked at Bacon County Hospital and as caregiver/house sitter until she retired. She was a natural caregiver for many. She acted as a caregiver to her mother for many years and her only son until his passing. 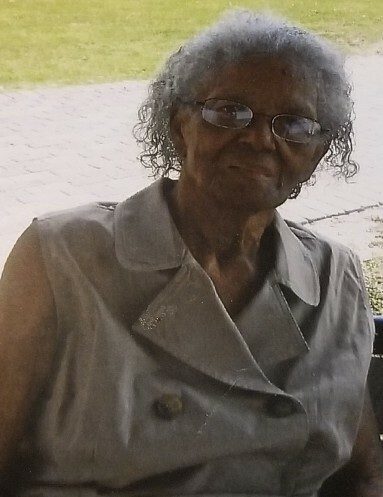 In her free time, she enjoyed fishing, crossword puzzles and attending church. She was in her 5th generation of love ones. She was a member of Spiritual Body Holiness Church. She was preceded in death by her parents, a son Lamar Clayton, a brother Willie Clayton, a sister Inez Jones and a grandson Willie Linder. Left to cherish her memories a daughter Aritha Moore (Earnest Davis), Alma; grandchildren: Sonjia Blash, Shanta Wertz, Latesia Mosby, Tre Woodbury, Layla Jackson all of Alma;Tyrone Clayton, Jacksonville, FL; Junior Lamar Clayton (Kimmie), Broxton, GA; and David Clayton, Brunswick; a sister Rita Jones, Nicholls, GA; a god daughter; Abbigail Hayes, nine great grandchildren, two great-great grandchildren, cousins, nieces, nephews, other family and many friends. A celebration of life will be held Thursday, January 3rd at 11:00 a.m. at First A.B. Baptist Church, Alma, Rev. Stephon Deen is pastor. Pastor Jackie Welch of House of God Church, Patterson will deliver words of comfort to the family. The body will lie at state Thursday, January 3rd at 10:00 a.m. until the hour of service. Burial will follow in Lee Moore Cemetery, Bixley, GA.